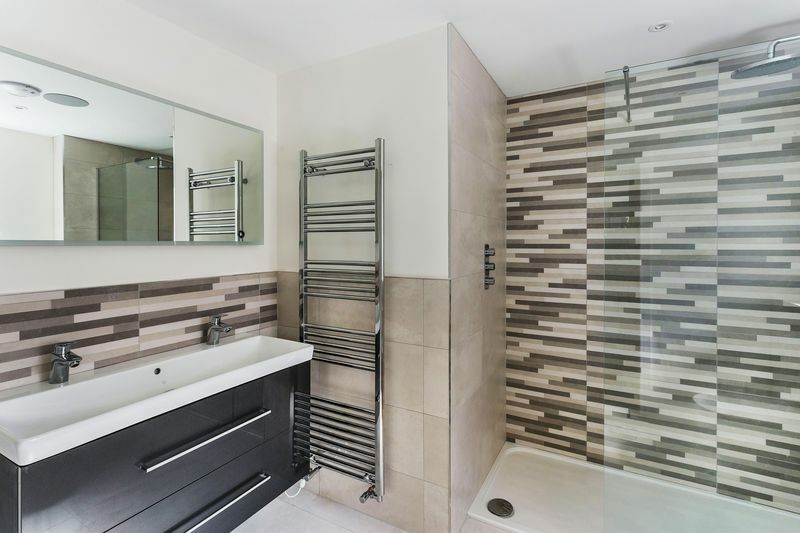 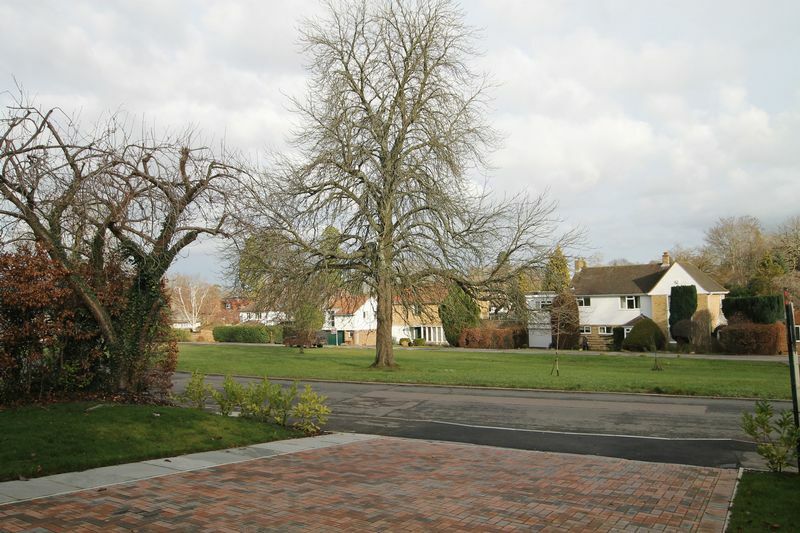 The property is situated in a prestigious and sought after residential road with private green to the front of the houses being owned by the houses/residents opposite. 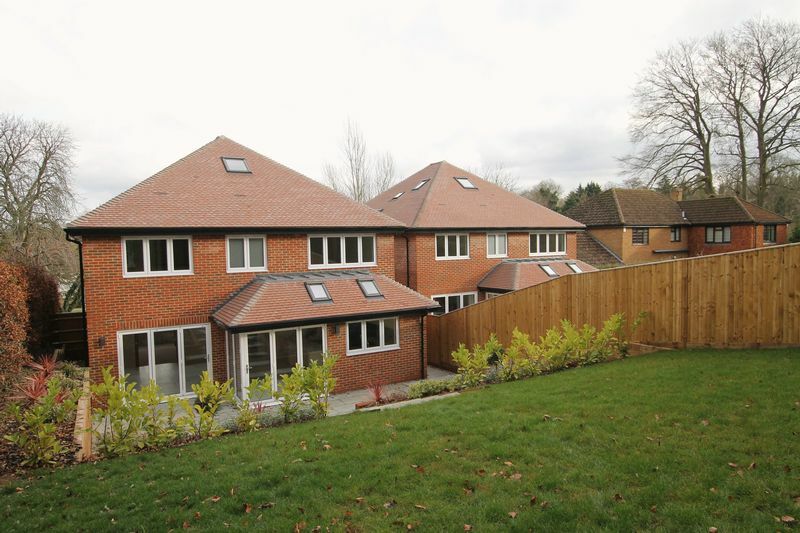 Local shops catering for daily needs can be found in Merrow Village together with regular bus services to and from Guildford. 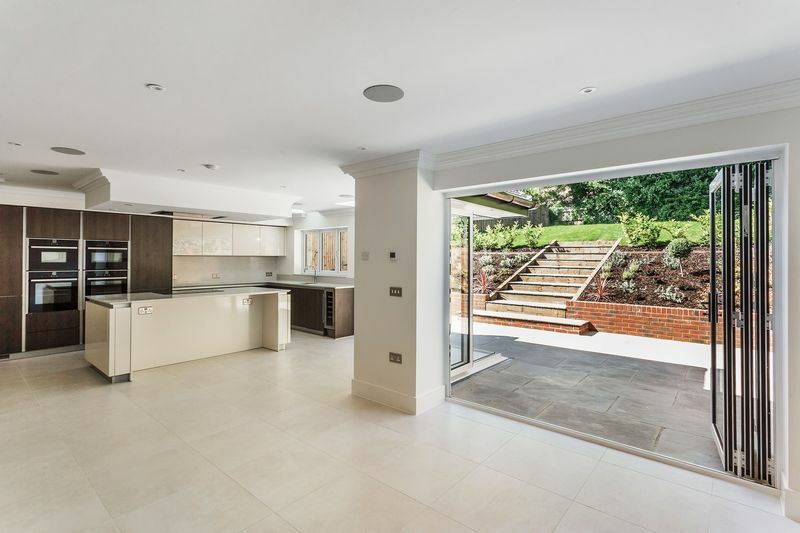 Access onto the A3 northbound carriageway to London can be found from the outskirts of Burpham and Guildford s historic Town Centre lies within two miles with its two stations having services to Waterloo. 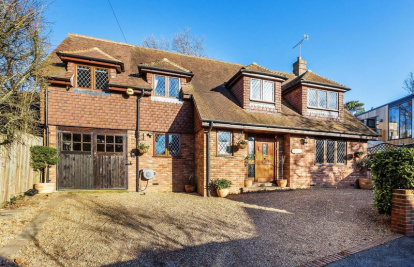 There are a number of popular local schools within walking distance including George Abbot and St Peter Roman Catholic School. 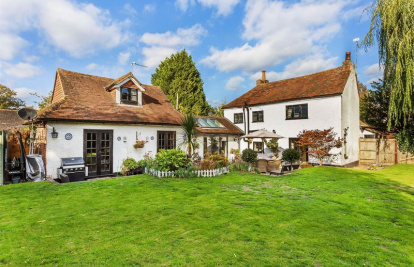 The position is also very convenient for access to a number of leading independent schools such as Tormead, Guildford High School, Lanesborough and the Royal Grammar School. 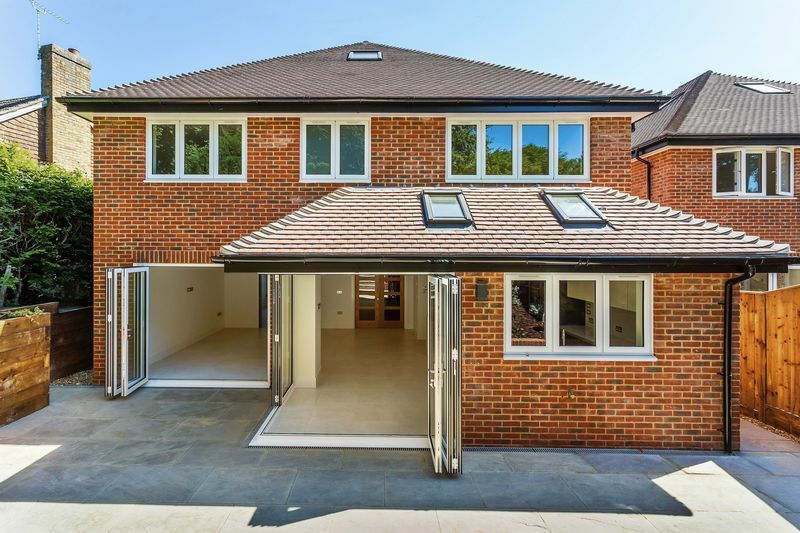 This newly-constructed family home is set within beautifully landscaped gardens with rooms designed to maximise the south-westerly orientation and offer light and airy accomodation, well-suited to modern lifestyles. 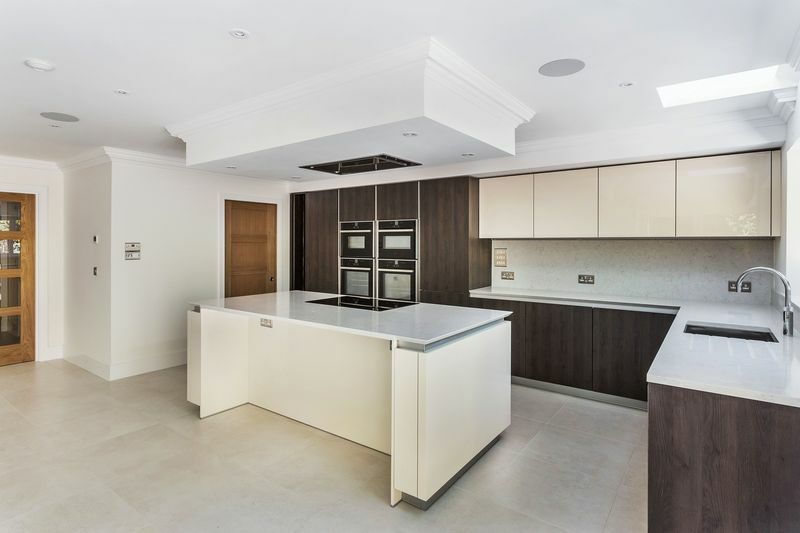 The property has been finished to an exacting standard with luxury fittings including a German-engineered kitchen with Stilestone bespoke worktops and Neff appliances, a Villeroy & Bosch and Hansgrohe sanitaryware, underfloor heating to the ground floor and a multi-zone audio installation throughout the ground floor and master bedroom. 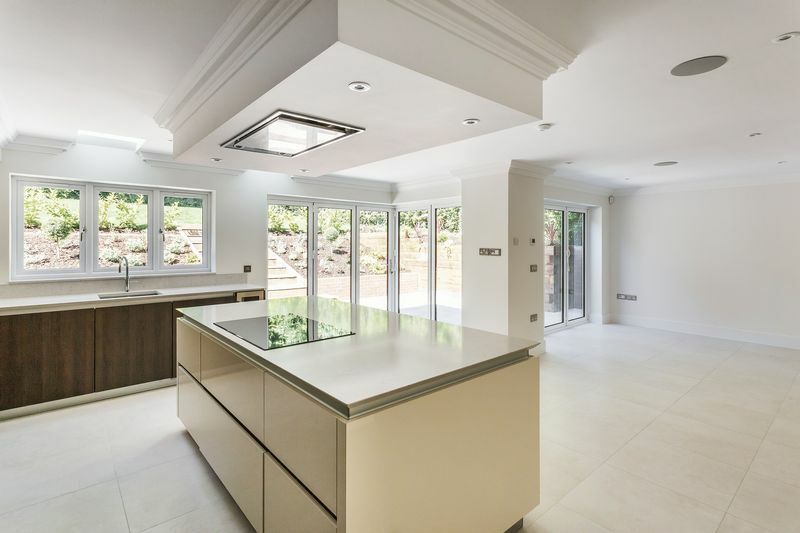 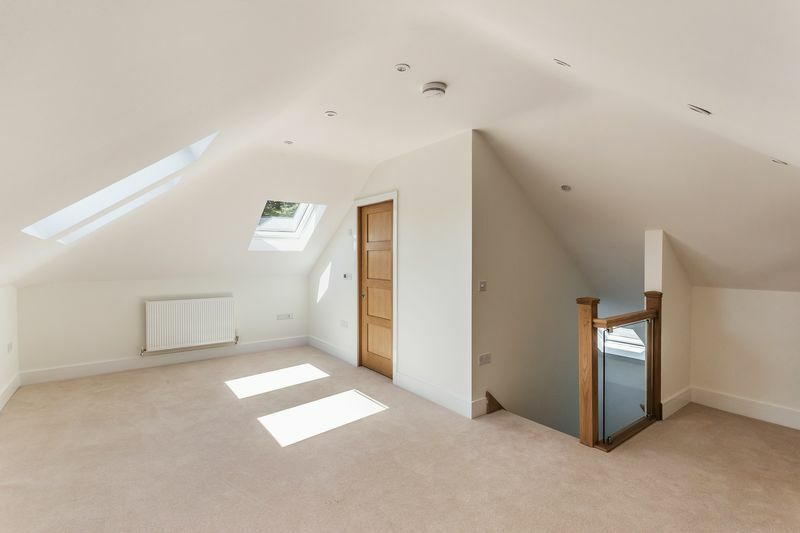 The ground floor features a stunning open-plan kitchen/dining/family room with three sets of bi-fold doors, designed to allow a natural cohesion between the inside and outside. 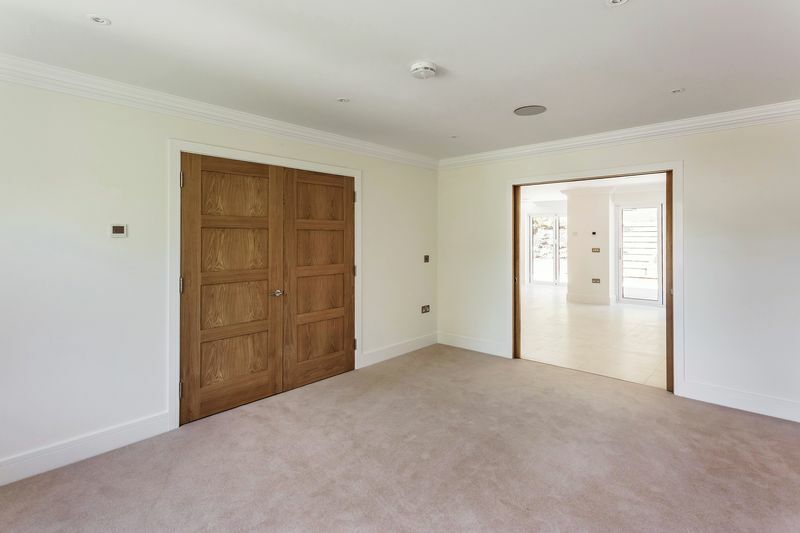 There is a more formal sitting room with double, oak-faced doors opening to the hallway as well as into the family area. 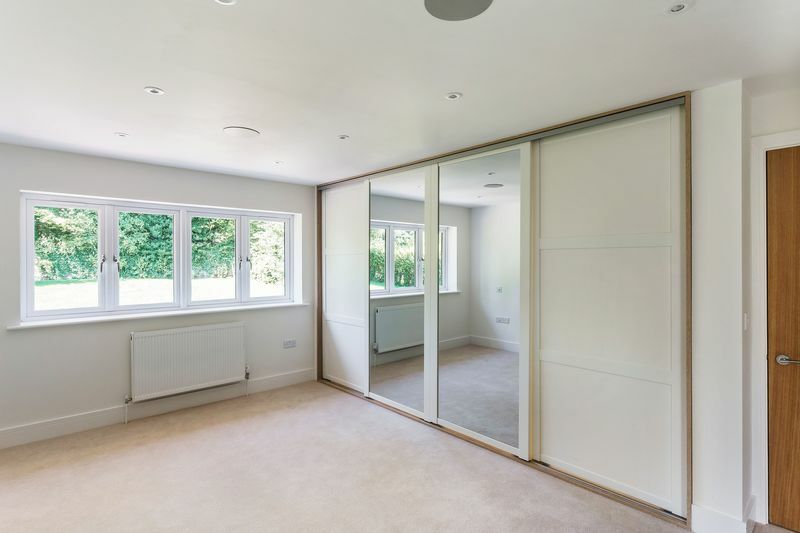 The bedrooms are arranged over two floors with the top floor suite being a multi-purpose room, ideal as maybe a teenager's den or au-pair accommodation. 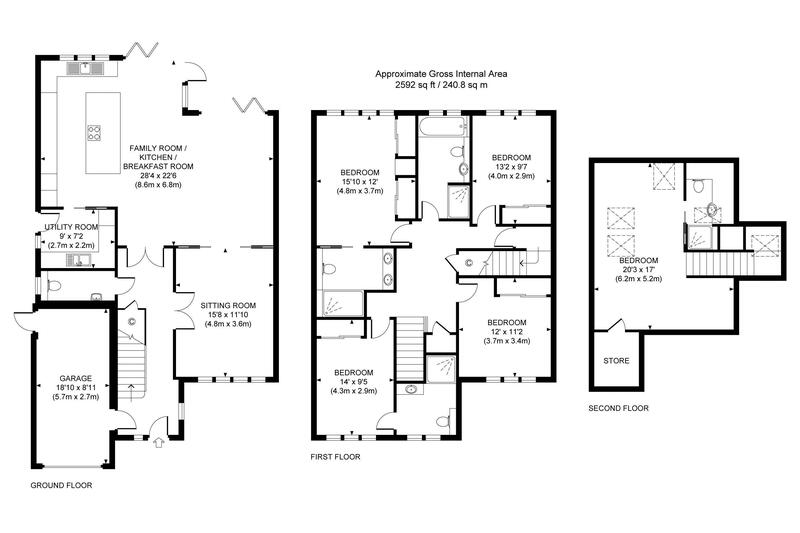 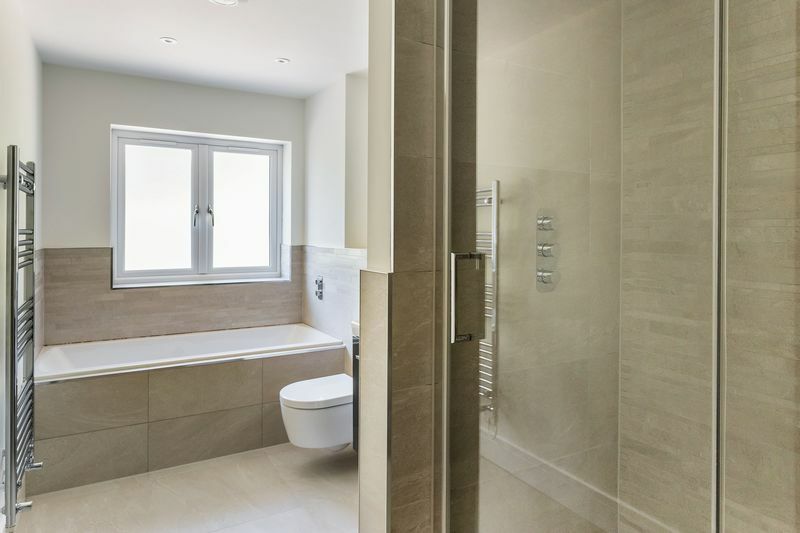 The master bedroom and guest room both feature en-suite shower rooms, and there is a generous-sized family bathroom. 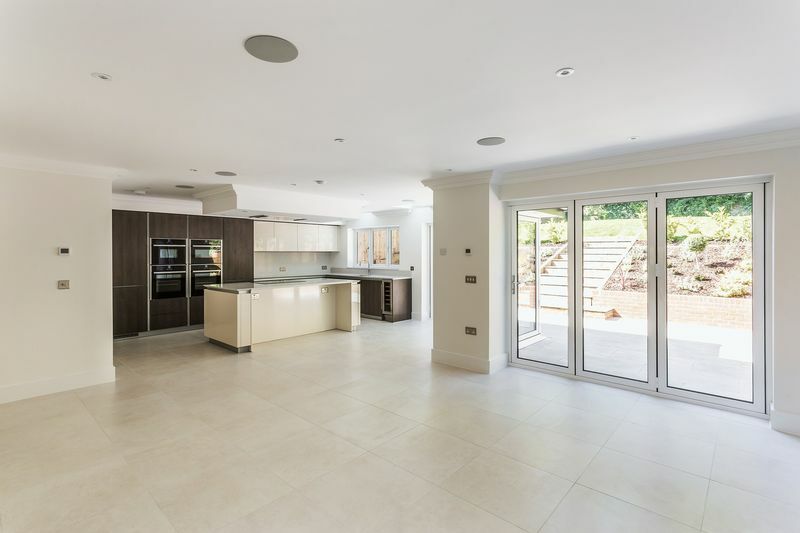 Every care has been taken to provide a contemporary and stylish home with porcelain floor tiles, twisted carpets, polished chrome door furniture and muted paint finishes. 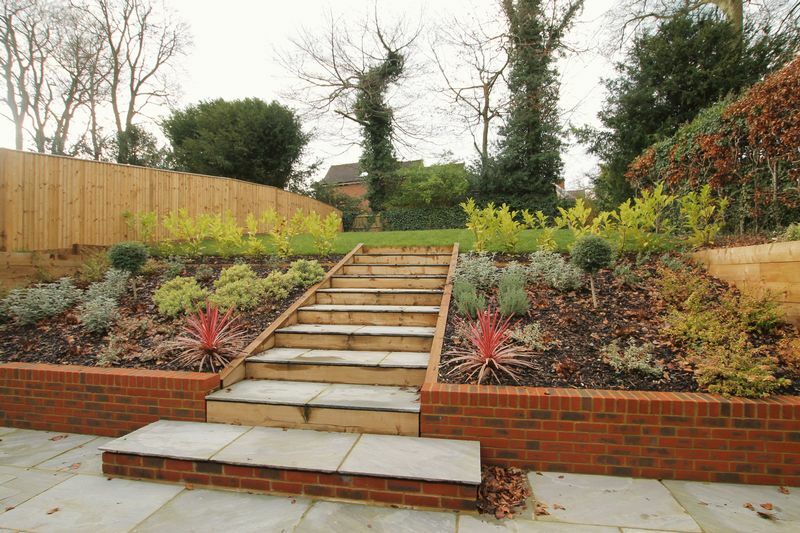 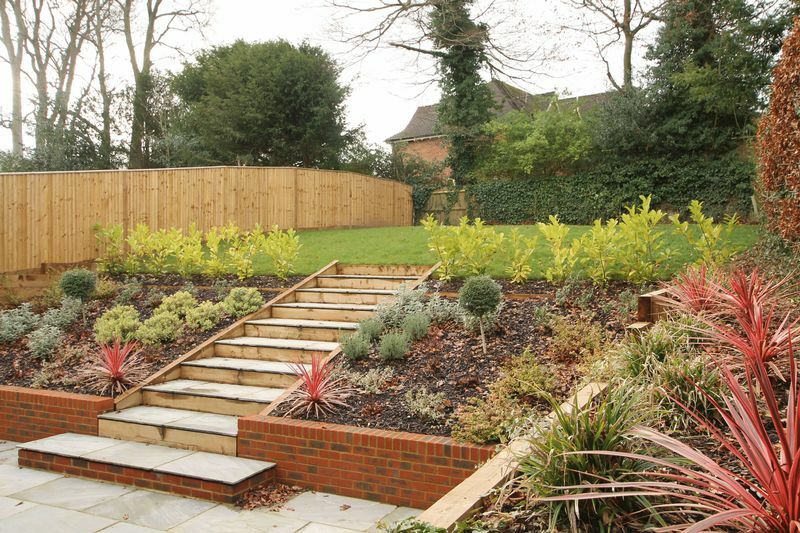 The garden has been landscaped using a variety of materials including sandstone, timber and brickwork and has been planted with a mixture of shrubs and plants. 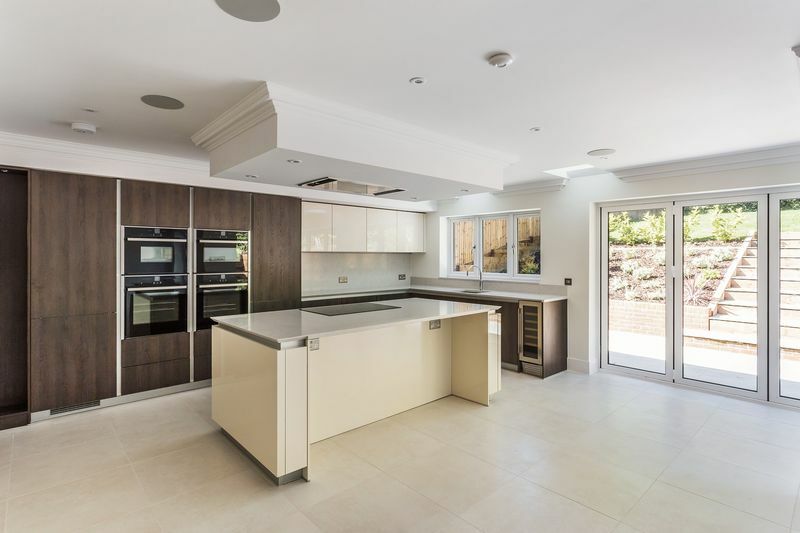 Neff Appliances including two fan ovens, Steam oven, Microwave oven, induction hob, integrated tall fridge, integrated tall freezer, integrated wine cooler Qooker Pro 7 Fusion boiling tap. 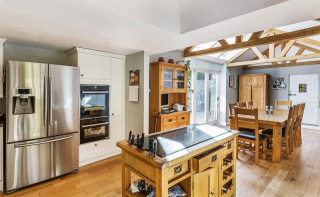 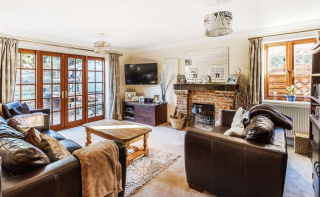 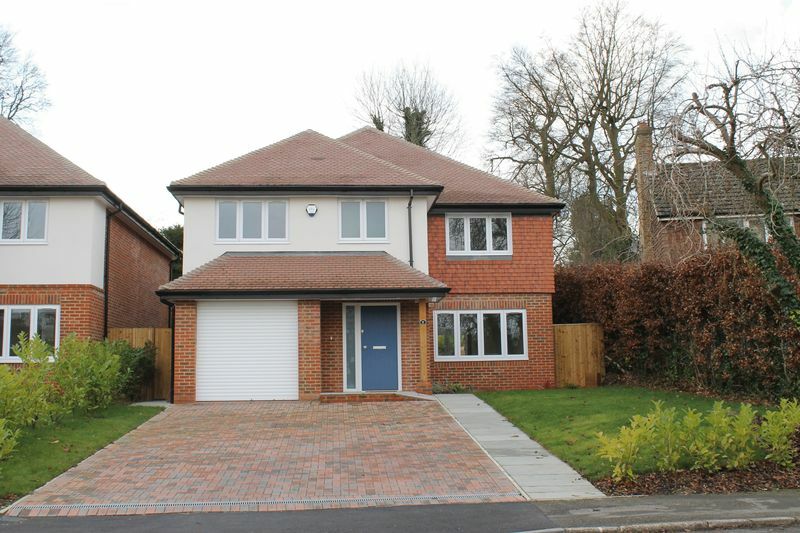 Use this form to contact Burpham about this property.